Hudson Movers has been moving discerning Torontonians since 1923. Generation after generation has relied on Hudson Movers for professional moves using only full-time employees. The challenges of long distance and international moves are unique. 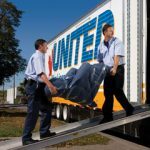 Hudson Movers as a proud member partner of United Van Lines has the expertise to relocate your household goods from door to door, across Canada and around the globe. Whether it is for a short period of time while your home is being renovated, or a longer period while you are living outside of Canada, you can count on Hudson Movers to keep your items safe in our climate controlled, fire and security monitored, 50,000 square foot warehouse. Enjoy the piece of mind that comes with using Hudson Movers expert packing service. Our expert packers will professionally pack your antiques, fine china, mirrors, as well as glass and marble table tops. Attention to Detail: 95 years of moving and storage experience, stress free relocating, we do what we say we will do. Accurate Estimates and Precise Billing: We go to great measures to make sure the quotes we give you up front won’t change down the road! Full Time Staff and Crew: We have a full time staff of over 20 professional movers that are reliable whose job is full time moving. This make our service to you reliable, consistent and professional. Safe and Secure On Site Storage: Our Storage Facilities are security monitored and temperature controlled. Hudson Movers are proud members of United Van Lines, the Canadians Association of Movers, the American Moving & Storage Association and the Better Business Bureau where we have an “A” rating. Hudson Movers is a family owned and operated business that has been providing full service residential moving capabilities across Toronto, GTA since 1923. We at Hudson Movers believe that a successful move is based on sound operational methods. Working with their dedicated staff Hudson Movers have developed a comprehensive series of best practices that ensure that every item is handled and transported the right way. This professional experience ensures the quality of your move. 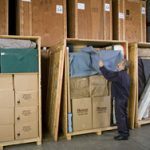 Hudson Movers can provide you with Specialty Services to pack and protect those unique items in your home. Our Specialty Services range from moving pianos, pool tables, chandeliers and home gym equipment, to high end electronics, wine and art collections. Hudson Movers are experts in Downsizing. Our professional sales team has extensive experience helping Seniors and their families with all aspects of relocating to a condo, seniors residence, or a smaller residence outside of Toronto.